Quebecers are particularly hostile toward the development of shale gas, but this aversion is driven less by 'not in my backyard' (NIMBY) attitudes than 'not in anyone's backyard (NIABY), according to a comparative study of 2,500 Quebecers and Americans conducted by Éric Montpetit and Erick Lachapelle of the University of Montreal's Department of Political Science. Professors Barry G. Rabe of the University of Michigan and Christopher P. Borick of Muhlenberg College co-led the study in the United States. The study, commissioned by Quebec's Ministry of the Environment, has provided insight into why Quebecers oppose the development of shale gas so fiercely. According to the study, political-cultural traits are the source of bias in the perception of the issues. "The study was conducted among 1,500 Quebec respondents, a large proportion of whom were sampled from the Montérégie region, where there are shale gas development projects, and 1,000 respondents from two U.S. states, Michigan and Pennsylvania," Montpetit explained. "Our findings showed that opposition is much stronger in Quebec than in the United States, and this is true across the province, regardless of where one lives. The main reason is not related to a lack of information or proximity to existing wells. Their aversion is rather due to the importance of political values that shape the public's understanding of issues more generally." In the study, two values help explain differences in in public perception: egalitarianism and individualism. Egalitarians have high expectations regarding social justice and equality between citizens, while individualists value personal success. "We found that egalitarians are more likely to perceive risks related to hydraulic fracturing methods used to extract gas from shale, while individualists are more likely to perceive the benefits," Montpetit said. "This is true in Quebec and the United States. That is to say, Quebecers are no less rational in their perceptions of the issue. The difference is that there are more egalitarians here than south of the border. This explains why opposition to shale gas is so strong in Quebec compared to what we find in the United States." Quebecers are particularly hostile toward the development of shale gas, but this aversion is driven less by 'not in my backyard' (NIMBY) attitudes than 'not in anyone's backyard' (NIABY), according to a comparative study of 2,500 Quebecers and Americans conducted by Éric Montpetit and Erick Lachapelle of the University of Montreal's Department of Political Science. Professors Barry G. Rabe of the University of Michigan and Christopher P. Borick of Muhlenberg College co-led the study in the United States. The way journalists talk about the issues related to shale gas development has also played a role in perceptions. "There has been little coverage in the media about the fact that Quebecers are large gas consumers and that the gas is currently imported from Alberta. Developing this sector would allow us to be more independent in terms of energy. It is an important argument that has been mostly ignored," Montpetit said. "Much discussion has focused on large multinationals from western Canada or abroad who come to explore and pay little in terms of royalities to the Quebec government." This way of talking about shale gas resonates with egalitarian values. Egalitarians are sensitive to this type of discourse, which refers to issues of social justice and equality. "Egalitarians say 'we pay for the cost of extraction, and the profits go into the pockets of big corporations, who are often from outside the province!' This causes resentment, causing them to be more likely to be concerned about environmental risks." 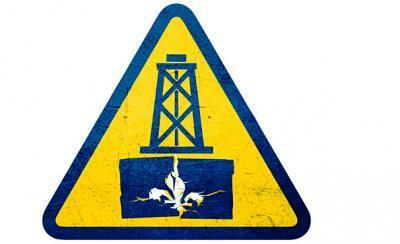 The problem is that we don't exactly know about the possible adverse effects of shale gas development. "Studies from the U.S. have reported methane leaks in Pennsylvania, but in other places, like Arkansas, evidence is mixed. Soil, rock, and groundwater characteristics are very important for determining risks. In order to better evaluate these risks for Quebec, these characteristics must be known. But there has so fare been very little exploration in the province, which prevents us from knowing the real risks of shale gas extraction on our territory," Montpetit said. The study shows however that new information from a credible source would likely change opinions in the United States and Quebec. "A significant proportion of Quebec egalitarians would reduce their fears about the risks if the Office of Public Hearings on the Environment and credible scientists endorsed a report showing that the risks of shale gas extraction were low," Montpetit said. "However, such a change in the perception of risks would be insufficient to transform the high degree of reluctance of Quebecers into majority support. Note that opposition in Quebec toward shale gas extraction is currently at 70%. The main reason for this opposition is the great fear associated with potential risks. Credible sources would reduce this fear, but opposition would remain above 50%. On the other hand, in the United States, particularly in Pennsylvania, opinion is almost equally divided between those in favour and those against. A reassuring study about the risks of shale gas extraction would therefore have greater impact in Pennsylvania than in Quebec."